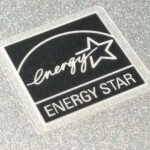 When the Push to Start, or Start Switch stops working on your Bosch Dishwasher, give us a call. We have the correct tools and the required experience to safely disassemble and repair your dishwasher. 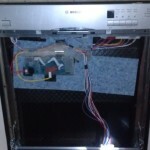 We provide affordable dishwasher switch repair through San Diego. Please check our service areas page to see if we service your area. Bosch builds quality dishwashers, but parts can and do fail occasionally. Especially if there is broken glass involved. Here is another example of a pump that was destroyed by sucking in broken glass from the bottom of the dishwasher. If the filter in the bottom of the dishwasher is not installed or reinstalled correctly, anything that gets past it could potentially destroy your dishwasher’s pump.